AMD took the wraps off their long-awaited second generation Trinity APU last month. When it was announced, we were told the APU would power mainstream and ultrathin notebooks as well as traditional and all-in-one desktops. While that still remains true, word on the street is that desktop variants have been delayed until sometime this fall. Despite the occasional demo system on display at Computex, The Tech Report has heard through multiple motherboard makers that AMD is delaying the release of Trinity APUs for desktops. 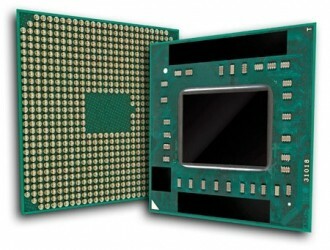 One manufacturer expected the chips to be ready by September while others noted an October release. Another was led to believe it could be even later than that. GlobalFoundries, the company that physically makes the APU for AMD, said that yield issues were behind the delay. The delay shouldn’t affect notebook parts, however, as AMD is expected to have plenty of those on hand for back-to-school sales at the end of summer. When the APU launched last month, AMD didn’t detail any desktop part information. They said that these components would be available later in the year. But according to a page on AMD’s website, we can expect to see two A8 and two A10 models, each with a K series processor that will feature an unlocked multiplier and a 100 watt TDP. All of the APUs will have four processing cores with frequencies ranging from 3.2GHz to 3.8GHz, 4MB of L2 cache and Radeon HD 7560D graphics.